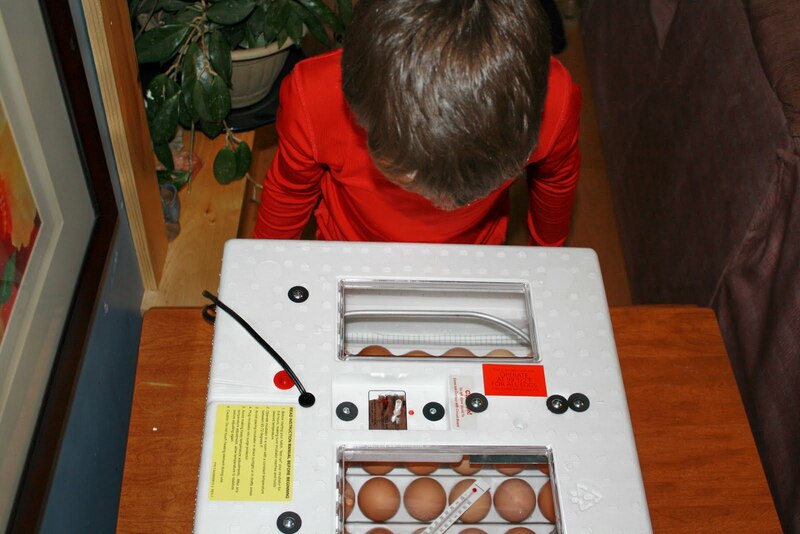 On Sunday we loaded Country Boy’s incubator (from Santa ;)) with 41 eggs from our Rhode Island Reds. We have been making bets on how many will hatch out. The problem is that Bob (the naughty rooster) has too many hens to maintain. A brief observation of his activities however suggests he has absolutely NO problems keeping up with the ladies in his harem. Regardless I’ve read the ratio should be around 1:10-12 and he has about 20 hens. 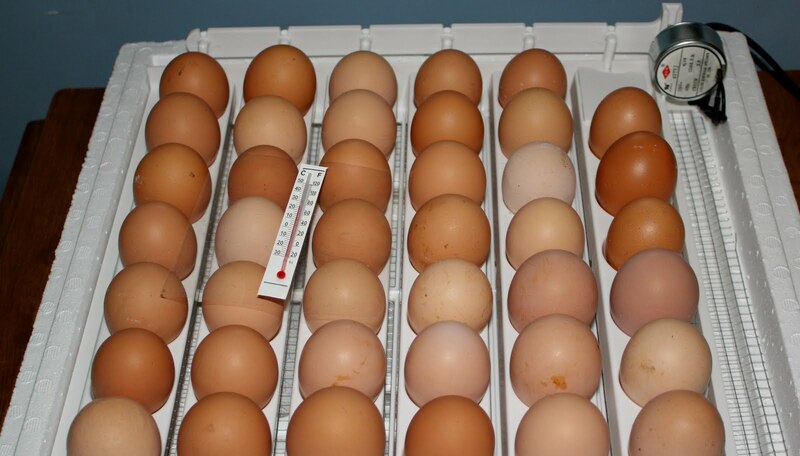 We have been diligently monitoring the temp which is suppose to stay at 99.5 according to the incubator directions. 21 days and counting…that makes the hatch date of 3/14. Ideally we would have separated Bob with a handful of hens but Maine Man couldn’t stand the thought of constructing another pen and the added maintenance that goes along with it. So we thought we’d give a try with what we had this time around. We are getting into our busy season here. We will be tapping the maple trees this weekend and we may even tap a few birch trees. Cows are in the near future along with the purchase and assembly of electric fencing. That should be a Kodak moment! This entry was posted in farm adventures, kids by Achorn Farm. Bookmark the permalink.